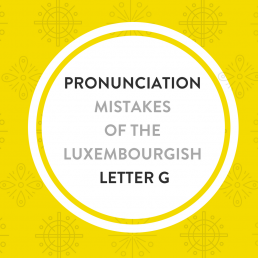 The paired consonants “ch” pose problems for people trying to learn Luxembourgish. 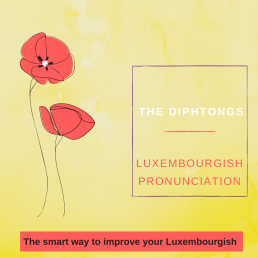 For starters, its pronunciation changes depending on the preceding letter or, if it appears at the beginning of a word or other circumstances. To make things worse for English speakers, the resulting sound has, often no English equivalent. ⇒And then there is Orchester (orchestra), which defies the rule: ch is pronounced like k.
Here the situation gets really muddled. That’s because there are, first of all, words that have their origin in a foreign language and are pronounced as in their original language, such as the French words Chance, Choix, Chômage which are pronounced like the ech-sound. Practice recognizing the different ch-sounds! Read each word aloud. Then play the audio to verify your pronunciation. Get this lesson as a PDF! 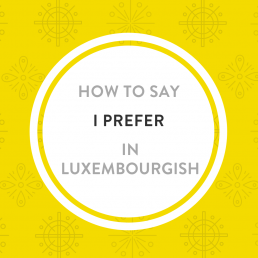 Learn the complete Luxembourgish pronunciation with my self-paced online course: Luxembourgish Pronunciation!